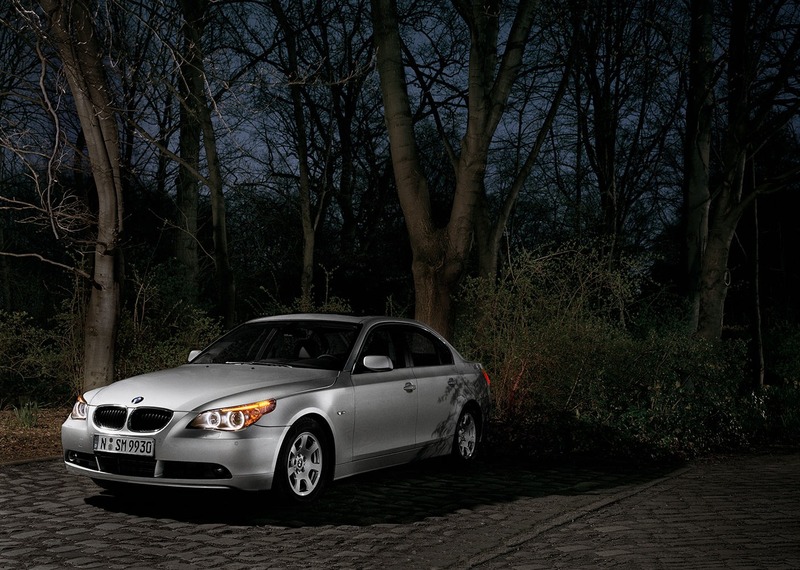 a bmw 530d standing on a car park in the nocturnal hansaviertel in berlin. what you can't see in the image is the great architecture in the hansaviertel, done by e.g. alvar alto, oscar niemeyer, max taut or walter gropius.